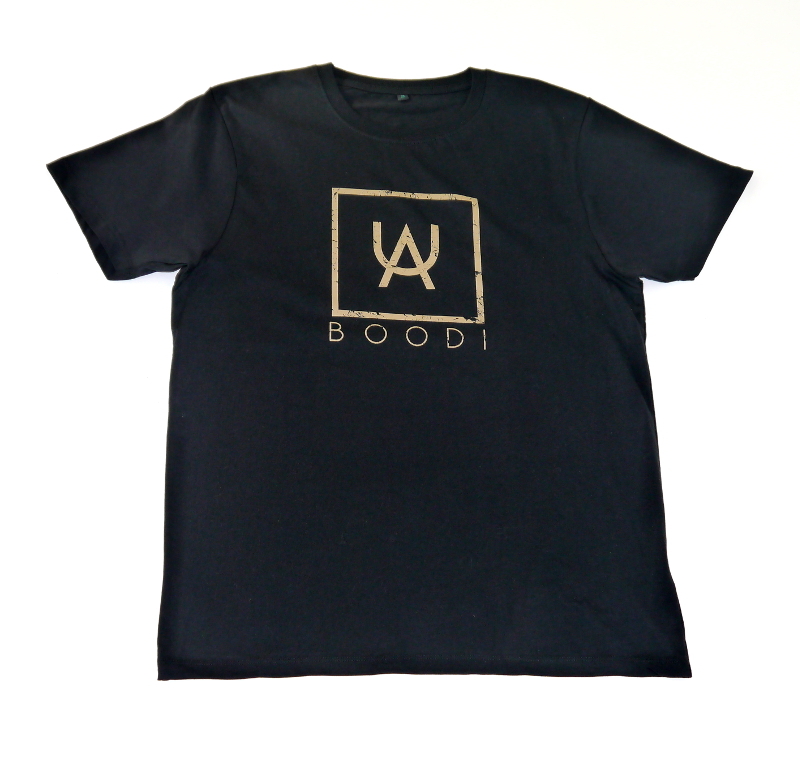 Orders will be dispatched within 1 working day. 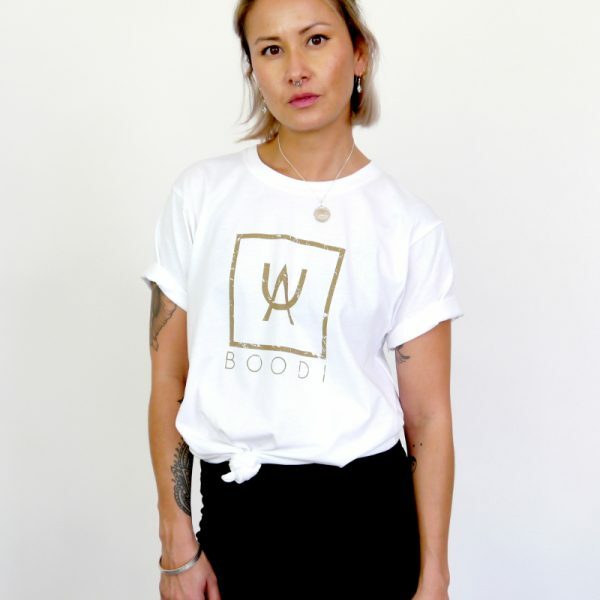 This Animal Utopia symbol T-shirt represents the love and respect of all forms of animals and the wish that one day, they shall will be left to live their lives in peace. 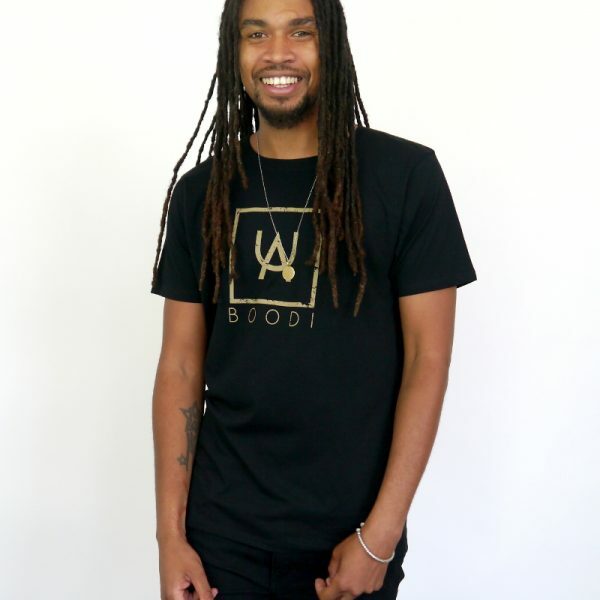 POSITIVE MESSAGES ON POSITIVE CLOTHING. 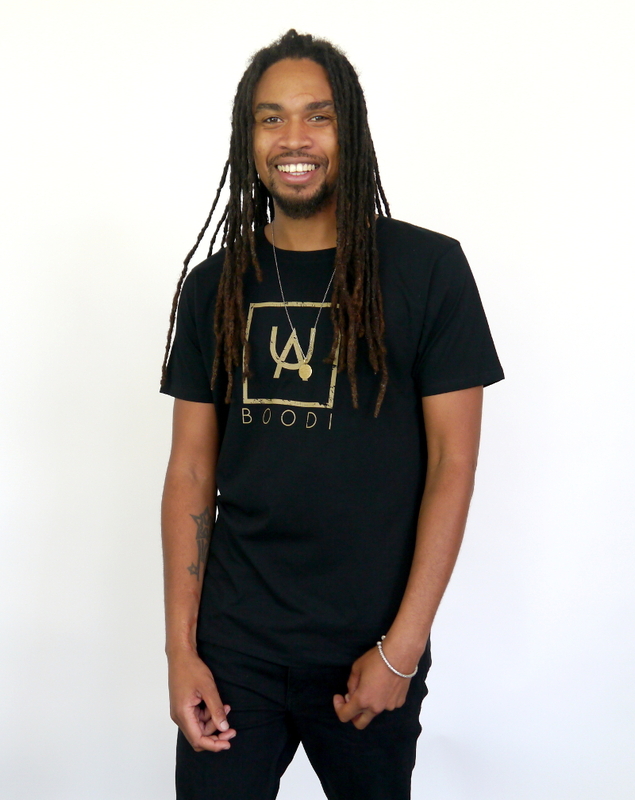 Boodi is always dreaming of an Animal Utopia where animals roam free, swim deep and fly far. This Animal Utopia symbol represents the love and respect of all forms of animals and the wish that one day, they shall will be left to live their lives in peace. 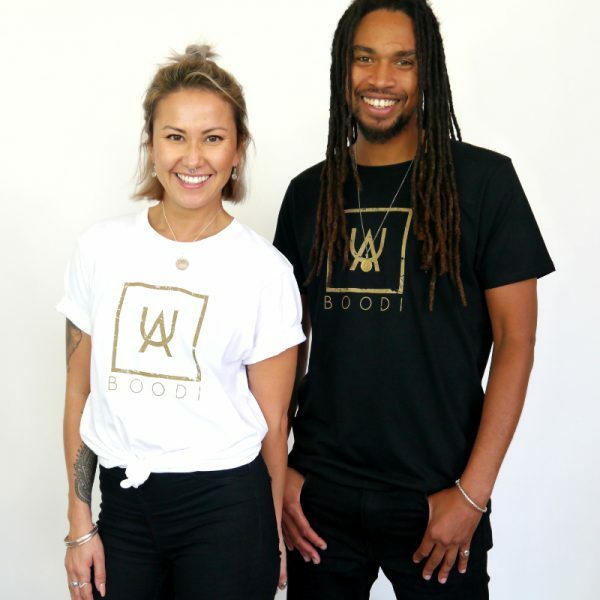 A unisex, organic cotton vegan T-shirt with a positive message. The Animal Utopia T-shirt is unisex in a standard T-shirt shape. WHAT IS IT MADE FROM AND HOW IS IT MADE? 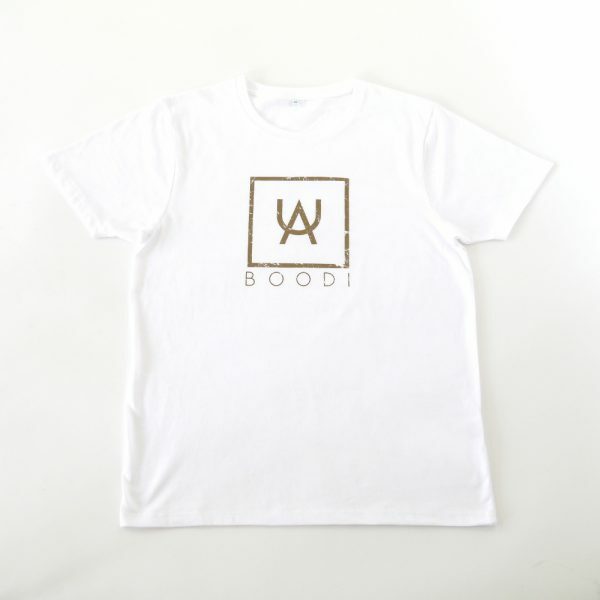 All Boodi T-shirts are made from 100% organic cotton. They are manufactured solely using solar and wind power making them climate neutral. What is climate neutral? 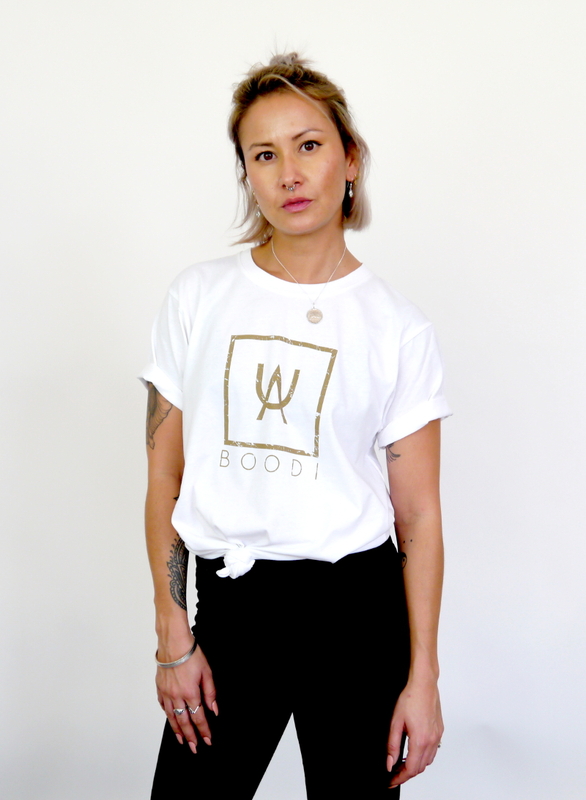 Climate Neutral means the industrial greenhouse gas emissions produced to make these T-shirts has been reduced to pre-industrial levels through low-impact (low emission) organic agriculture and carbon neutral industrial manufacturing, achieved through substituting energy use from fossil fuel powered power stations with clean renewable energy from wind turbines and solar power. They are produced under the protection of the Fair Wear Foundation. FWF exists to promote fair labour conditions in the textile industry worldwide, therefore they require safe and healthy working conditions and no use of child labour among a number of other labour standards. 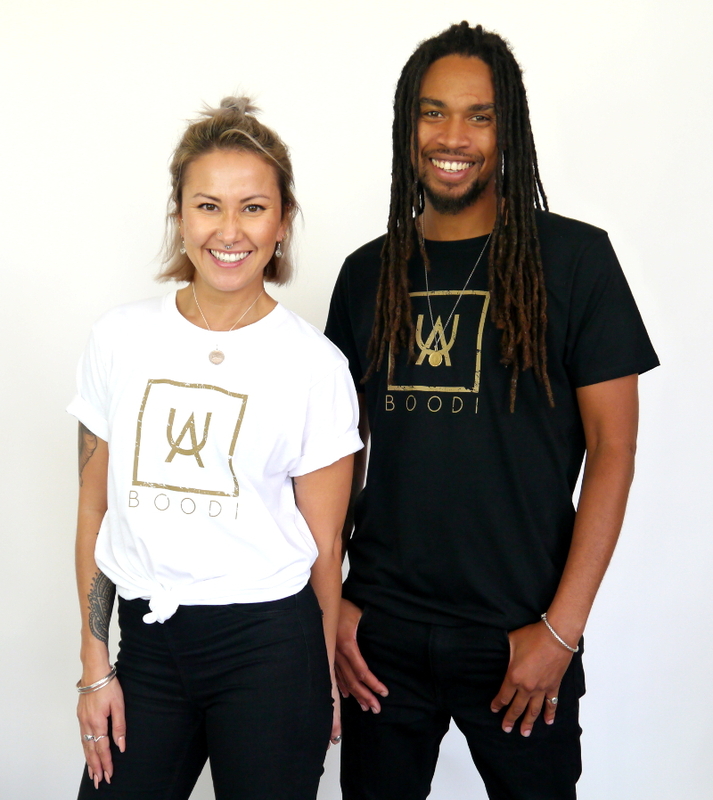 Boodi T-shirts are hand screen printed in London using vegan non toxic inks. We have two styles of beautiful unisex Animal Utopia signet rings coming soon! Get in touch if you’d like to know when! Get in Touch if your size is out of stock and we will let you know when we can send one out to you.